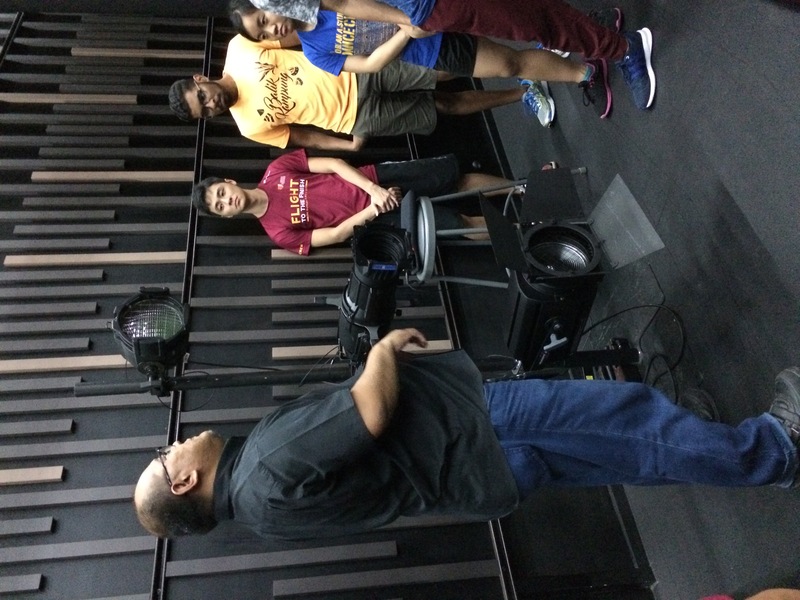 As part of the sYNCD dance camp, I attended a Lighting Workshop conducted by the A&M crew. They taught us the basics of stage-lighting in the Black Box. 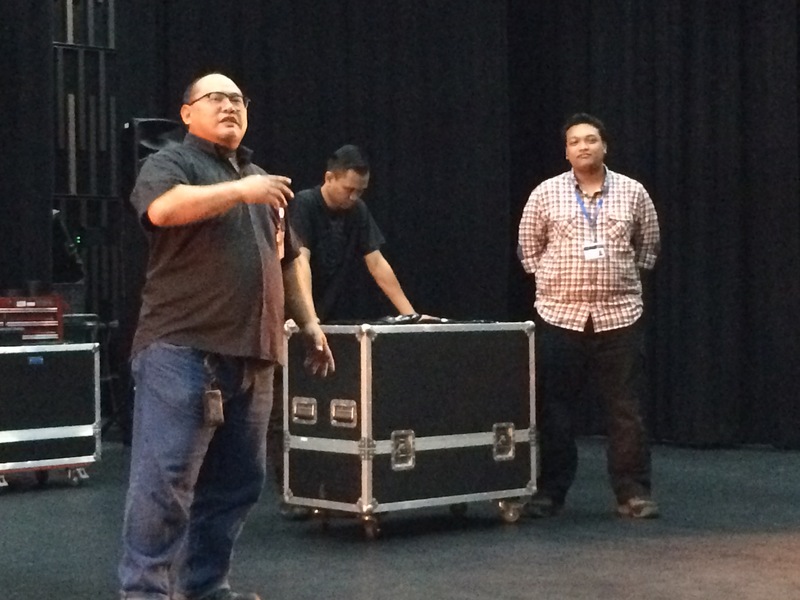 “You cannot go up (to the top level of the black box) so I’ll bring the lights to you”, Shafei said. Shafei demonstrates how to control the size and shapes of light beams. The workshop was very useful for us dancers, expanding our room for creativity, as a performance routine can only do so much without the special effects that give it that added oomph. Lighting plays an often overlooked but important role in highlighting the profiles of the dances, enhancing movements and creating rhythm. I later learnt that A&M has led other workshops for students. In facilitating student engagement with the arts, A&M also facilitated the Hwa Seng Tailor’s Pocket Square Workshop,which many Fashion Society students attended,and the Cake Theater Workshops with Natalie Hennedige in 2015. A&M also set up a webpage https://arts.yale-nus.edu.sg for anyone from the Yale-NUS community to publicize their upcoming arts events or workshops that are happening anywhere in college, not just the west core! This article is part of a series on Arts and Media. To read the others, click here.